While many countries across the world are grappling with the twin problems of a growing population and an ever-increasing demand for energy, nowhere is this more acute than in Egypt, one of the most populous nations on the African continent. If business requires a strong financial backdrop and first class business banking services in order to thrive and prosper, it also needs a stable economic and political environment in which to operate. 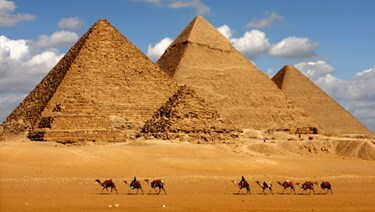 Egypt certainly provides the former. Sadly, the economics and politics have almost brought the country to its knees. As a result, foreign direct investment has plummeted since the January 2011 revolution; tourist numbers, while beginning to recover now, are nowhere near the pre-revolutionary levels; and the country seems to lurch from one political crisis to another. Hardly an environment conducive to attracting overseas investment. But all is not lost, say commentators, not least because of Egypt’s tremendous potential in terms of its people and abundant natural resources. Nowhere is this more apparent than when looking at the country’s renewable energy (RE) sector. The RE sector is still very much at the embryonic stage of development, with foreign investment levels curtailed because of the continuing unrest and uncertainty. But investors will return in great numbers at some point along with bank prosperity, say the commentators, simply because the RE capacity of the country is so vast. Egypt is currently struggling to meet its own energy needs even although the country has proven oil reserves of 4.4 billion barrels and proven natural gas reserves of 78 trillion cubic feet. However, most of this goes towards helping provide domestic energy needs with very little left over to generate much-needed hard currency. Egypt’s demand for electricity is growing rapidly as a result of rapid urbanisation and economic growth and the need to develop alternative power resources is becoming ever more urgent, says the law firm. Egypt has been suffering severe power shortages and rolling blackouts over the past years, necessitating the requirement to look to alternative energy options to help meet increasing demand. 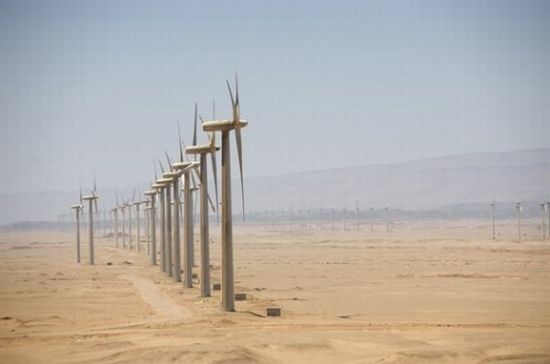 Wind farms at Zafarana and Hurghada on Egypt’s Red Sea coastline collectively generate up to 430MW opower. While RE investment has temporarily stalled in Egypt, other MENA countries, particularly the United Arab Emirates (UAE), have been pushing ahead and investing billions of dollars between them in a bid to move away from over-dependence on hydrocarbon resources. Huge multinational banking giants have also been playing a vital part, too, in attracting investors. The UAE’s commitment to a 7% RE target by 2020 is spearheaded by the Abu Dhabi Future Energy Company, also known as Masdar, a wholly-owned subsidiary of the Abu Dhabi government-owned Mubadala Development Company. Masdar’s mission is to advance renewable energy and sustainable technologies through education, research and development, investment and commercialization. It aims to be a global leader in commercially-viable clean energy and sustainable technologies and to secure the Emirate’s continued leadership in the evolving global energy market. One of its flagship projects is Masdar City, the world’s first carbon neutral, zero waste city completely powered by renewable energy. Across the world, global investment in renewable power and fuels increased 17% to a new record of $270 billion in 2014. Developing economies made up 35% of this total investment, compared to 65% for developed economies. One of the dominant features of the renewable energy landscape is falling technology costs. Photovoltaic module prices fell by close to 50%, and onshore wind turbine prices by between 5% and 10%. These changes have brought these two leading renewable power technologies closer to competitiveness with fossil-fuel alternatives such as coal and gas.